This morning on WBAI (listener-sponsored, free-speech, non-commercial radio), Bob Hennelly advised listeners to “thank the veterans” for serving “our” country and protecting us. It’s not “our” military, “our” war against Iraq and Afghanistan, it’s theirs. The rulers. The one-percent. The fact is in this day and age, no one fights for their country. They fight for the interests of those in power (or hope to become one! ), the capitalist class, who turn them into murderers and send them to war on a pocketful of broken promises and lies. Why only our veterans? According to the media pundits, service in a country’s military is seen as a wonderful thing. Well, what about all those in other lands who fought for their countries? Is God on “our” side … only? What kind of God would be on the side of our country, only? our city, only? our white (or brown, or red) people, only? our team, only? our family, only? When a baseball batter hits a home run, circles the bases and points “to God” in appreciation, should the pitcher who gave up the home run similarly look skyward and give God a different finger? Since when did praying become a contest — a forum for lobbying God, bending his ear? Where do these religious-infused petty nationalisms end? There’s a reason why today’s holiday used to be known as Armistice Day — the day the PEACE was signed to end World War 1. They changed it to “Veterans Day”, just as the Department of War was changed (through various permutations) to the Department of Defense — to propagandize the masses into accepting war as natural and those who fight in it as what you do to become a “man”. To win, in military parlance, “the hearts and minds of the people,” at home as well as abroad. To conquer … us. So — contra Hennelly — thank people in the military who resist orders to kill; thank them when they reject orders to steal resources and oppress others. 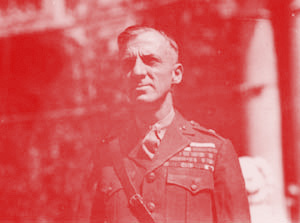 Thank those, in Marine Corps Commander Smedley Butler’s words, who refuse to be a hit man for Wall Street. And, thank people when they refuse the call-up, dodge the draft, flea to Canada or Sweden, go to prison, turn the guns around (!) to protect the real values of America, the America that should be but never was. Should we help our returning veterans, who have been so gratuitously thrown onto the rubble heap and left with physical and mental wounds festering, and who have become homeless, jobless, suicides? Well, yes we must — not because they’re veterans but because they’re human beings, same as for every human being who is suffering those horrible fates. Thank those who spurn the twistories, and celebrate what it means to be human in an era of robots. Forgive me if I now turn off the radio to start my day, so I can think about our great history of resistance, instead of the mealy mouthed glorification of the warrior offered this morning on WBAI (listener-sponsored, free-speech, non-commercial radio), and everywhere else. Click also on: For Each & Every Warrior Whose Strength Is Not to Fight. I spent thirty-three years and four months in active service as a member of this country’s most agile military force, the Marine Corps. I served in all commissioned ranks from Second Lieutenant to Major-General. And during that period I spent most of my time being a high-class muscle man for Big Business, for Wall Street and for the bankers. I suspected I was just part of a racket at the time. Now I am sure of it. Like all members of the military profession, I never had a thought of my own until I left the service. My mental faculties remained in suspended animation while I obeyed the orders of the higher-ups. This is typical of everyone in the military service. I helped make Mexico, especially Tampico, safe for the American oil interests in 1914. The record of racketeering is long. I helped purify Nicaragua for the international banking house of Brown Brothers in 1909-1912. I helped make Honduras ‘right’ for American fruit companies in 1903. In China I helped to see to it that Standard Oil went its way unmolested. During those years, I had, as the boys in the back room would say, a swell racket. Looking back on it, I feel that I could have given Al Capone a few hints. The best he could do was to operate his racket in three city districts. I operated on three continents.